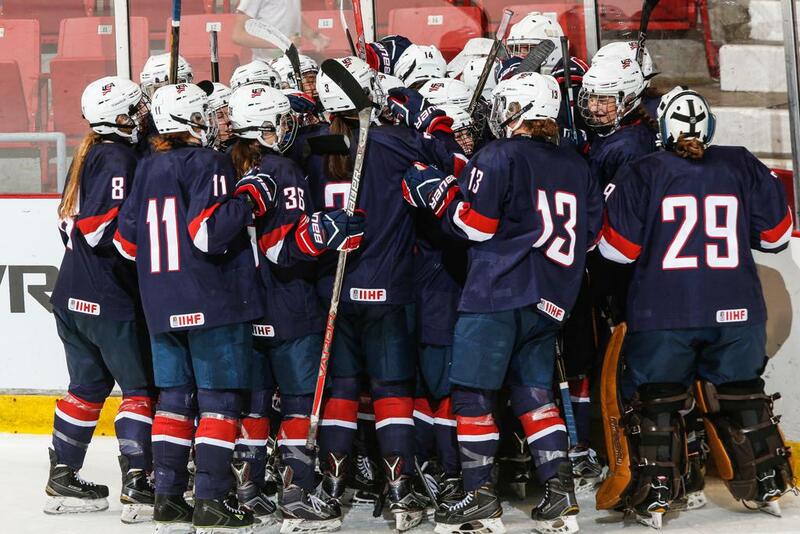 The 2018 Series vs. Canada featured 22 players selected to represent the U.S. following their participation in the 2018 USA Hockey Women's National Festival in Lake Placid, New York, from Aug. 6-13. The 2018 U.S. Under-22 Women’s Select Team completed a three-game sweep of Canada during the 2018 Under-22 Series vs. Canada, held Aug. 16-19, at the Markin MacPhail Centre in Calgary, Alberta. Captained by 2018 Olympic gold medalist, Cayla Barnes (Eastvale, Calif.), the U-22 squad earned three regulation-time wins against Canada over the four-day event. Taylor Heise (Lake City, Minn.) scored twice in the opening game and led the team in points at the Series with three (2-1), but fourteen different members of the 22-player squad notched points during the event. Olympic gold medalist Maddie Rooney (Andover, Minn.) helped the U.S. earn two wins during the Series, posting a .964 save percentage and a 1.00 goals-against average over the two games. With the Series sweep, the U.S. moves to 17-3-3-17-2 (W-OTW-OTL-L-T) all-time in event history. For complete series history, click here. Thurs., Aug. 16 Canada W, 4-1 Calgary, Alta. Fri., Aug. 17 Canada W, 3-1 Calgary, Alta. Sun., Aug. 19 Canada W, 2-1 Calgary, Alta.